Mickey Mouse turns 90 on November 18, and we have a spectacular special show for you to celebrate the occasion! In honor of #Mickey90, all of the Mousetalgia family of podcasts have come together to honor the Mouse who started it all. Author/historian/D23 Contributor Jim Fanning joins Team Mousetalgia this week to talk through all nine decades of Mickey Mouse, from the original pie-eyed superstar to the new animated shorts that have brought Mickey full-circle back to his slapstick roots. 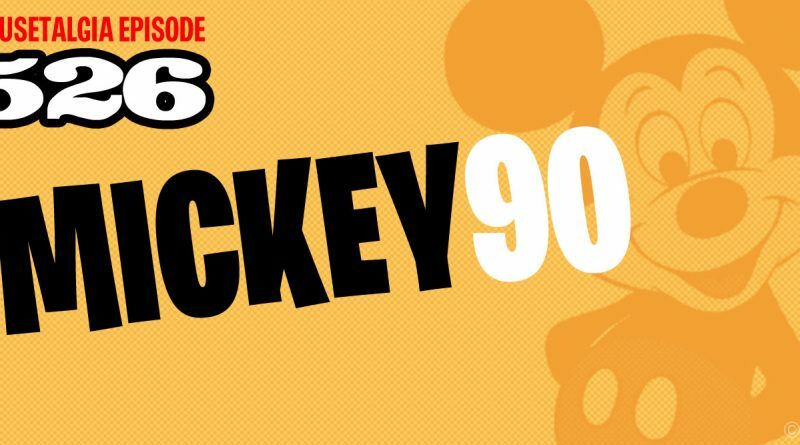 We talk animation, the Mickey Mouse clubs, Mickey Mouse collectibles, Mickey as a cultural icon, and more. Also – Mousetalgia Minute’s Tina and Julia talk about past Mickey Mouse’s birthday celebrations; Dateline Mousetalgia’s Nicole and Jenn Diz drop by to talk about finding Mickey throughout the Disneyland Resort, and we talk about Mickey through the ages. (Happy birthday to Minnie, too!) Plus – we offer a way to help victims of California’s Camp Fire, and we remember the legendary Stan Lee. ← Happy 90th birthday, Mickey!